Book hotel rooms online with us at Eurotel Altura & Spa Hotel at the lowest rate, guaranteed. Get a holiday discount room rate at the 4 Star Eurotel Altura Hotel & Spa located facing and with direct access to the white sandy beach of Altura in eastern Algarve. The 135 bedrooms of Eurotel Altura Hotel & Spa have balconies and ocean views and are divided into 58 standard bedrooms for two people, 58 superior bedrooms for three people, one junior suite for three people and 18 suites for four people. The Wellness Spa offers treatments and massages, an animated hydrotherapy area, a Turkish bath and a themed shower. The bedrooms are all air-conditioned with free wireless internet, safe, mini-bar and satellite TV. 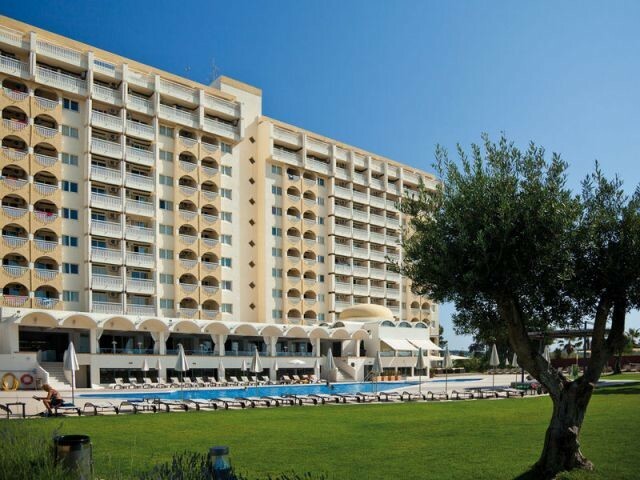 The Eurotel Altura Hotel in the Algarve an outdoor swimming pool with sun loungers, Kids Club with play area, a fitness centre, tennis courts, mini-golf, the Atlantic Restaurant, Breakfast Restaurant, and two Bars plus a Beach Bar. Other services include a Kids Club with activities programs, parking and facilities for disabled guests. The hotel is about 10-minute drive from several golf courses including the 18-hole Monte Rei Championship Course. The international Faro Airport is 45 drive along a motorway and Spain is 15-minites. Free Wi-Fi is available.